Continuing to push the local stand-up comedy scene, there are a number of experienced hands keeping the flow and helping out younger talent while still hammering out their own bits for audiences. 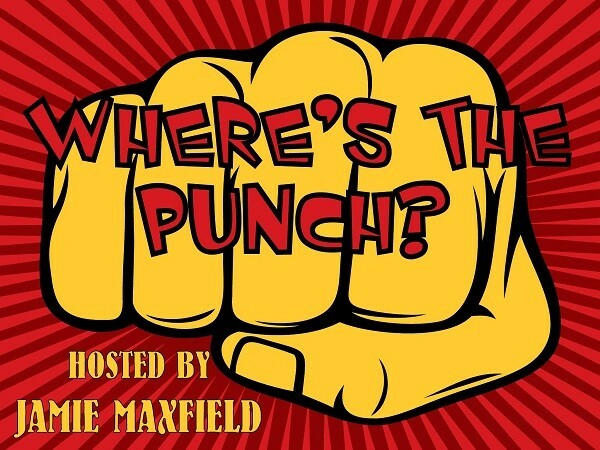 --- One of the more prominent names in that respect is Jamie Maxfield, a constant professional around the major shows and underground circuit, as well as a podcaster, cranking out content and interviews on Where's The Punch. 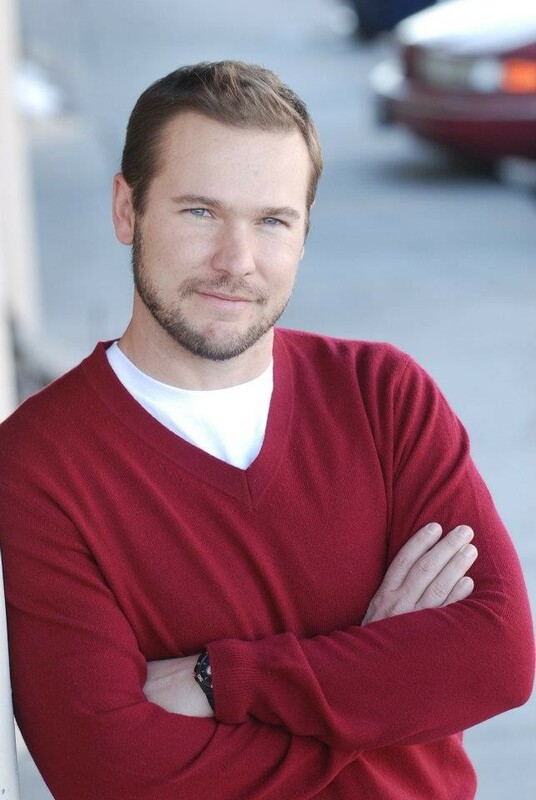 Today, I chat with Maxfield about his career and thoughts on the local comedy scene. Gavin: Hey, Jamie. First off, tell us a little bit about yourself. Jamie: I like long walks on the beach, soft music and cute kittens; that’s the short of it. The long of it goes like this: Born in Idaho. We moved a lot as a kid. Which, looking back, I think was a good thing. It gave me an ability to make friends quickly and understand that people are different than us normal people from Idaho. I mean, some people had TVs that played more than PBS programs. So, I thought the outside world was all Reading Rainbow and Bloodhound Gang. 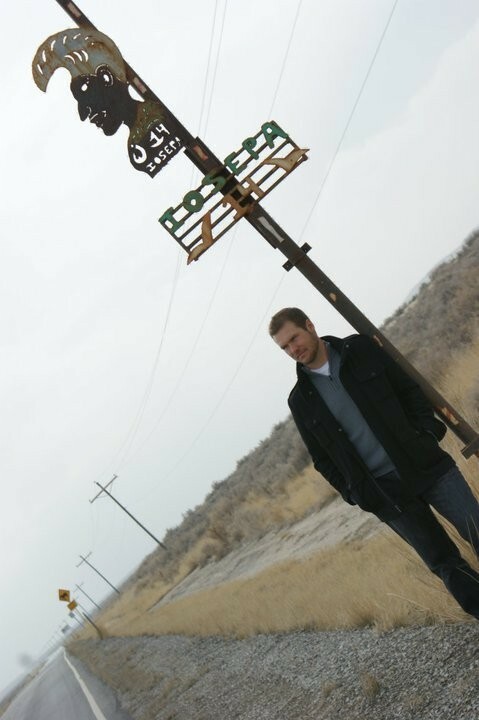 We finally settled down in Salt Lake City when I was in high school. I went to East High and married my high school sweetheart; in September, we will celebrate our 22nd anniversary. We have six kids: five boys and a girl, who runs the place. Jamie: My dad. He was the greatest storyteller I have ever met. He was one of those people who could tell you about making a cup of coffee and you would be hooked to his every word. He had an amazing sense of humor and control of words. I still don’t have half his skills. We both loved stand-up comedy and would listen to comedy albums together. Unfortunately, he passed away from cancer before ever seeing me perform on stage. After he passed, I promised myself I would not let fear stop me from doing something. He was the strongest, most fearless person I have ever known. Other people would be the norms, like Johnny Carson, Eddie Murray and Bill Cosby. One who would not be a norm would be Mark Twain. If you get a chance, read his notes and articles. He was brilliant, funnier, and more insightful than anyone today. Jamie: My buddy, Ben Fuller, whom I have known for a very long time. We both love comedy and were talking over lunch about doing a documentary file about us trying to write and perform stand-up comedy. So, we both went to an open mic at the local club here in SLC, Wiseguys. We were not going to go up; we just want to see what it was about. It was a blizzard and the only people there were the comics. I think Ben and I were the only two audience members. It was hosted at the time by a local comic here whom many of you know named Marcus. After the show, Marcus talked to the comics and gave them a few tips. It was nice to have someone to encourage us at the time. It gave us the green light, so we signed up for the next open mic, committed to the date, invited friends and family, wrote and practiced for a month before hitting the stage. Jamie: That’s an interesting question. Looking back, it's funny. I did my first open mic and did well enough to encourage me to come back. 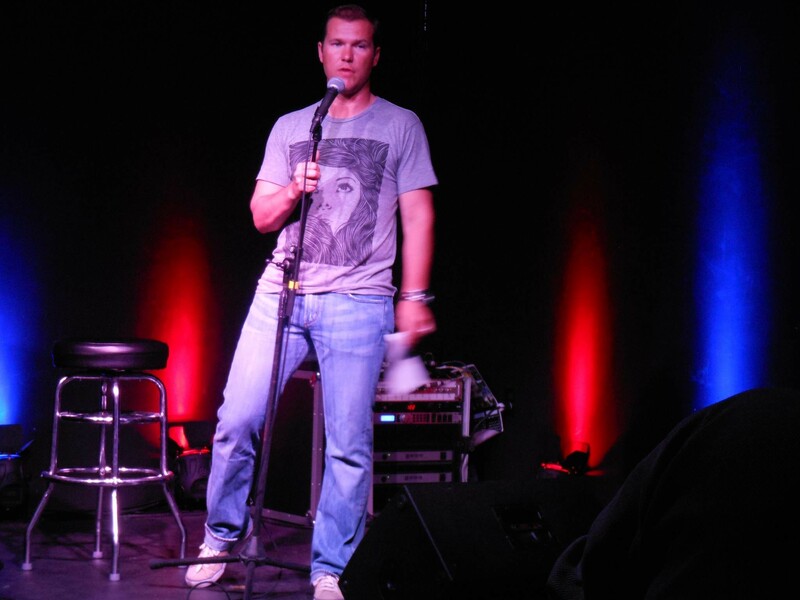 After about three open mics, the club manager, Jack, asked me to come and open for a regular show. I thought I had made it; I was on top of the world. I soon found out I was on the bottom of the world. It's funny to think about how I took it all at the time; I think lots of other comics take it the same way. It might just be part of the process, but I thought I was the greatest ever, and after three months of opening for shows on a regular basis I was, like, "Why am I not headlining? I should have a sitcom or something by now; at the least, hosting SNL." Then, you talk with some of the other regulars and find out that most of them have been doing it for five to seven years. And the headliners have been doing it for 10. 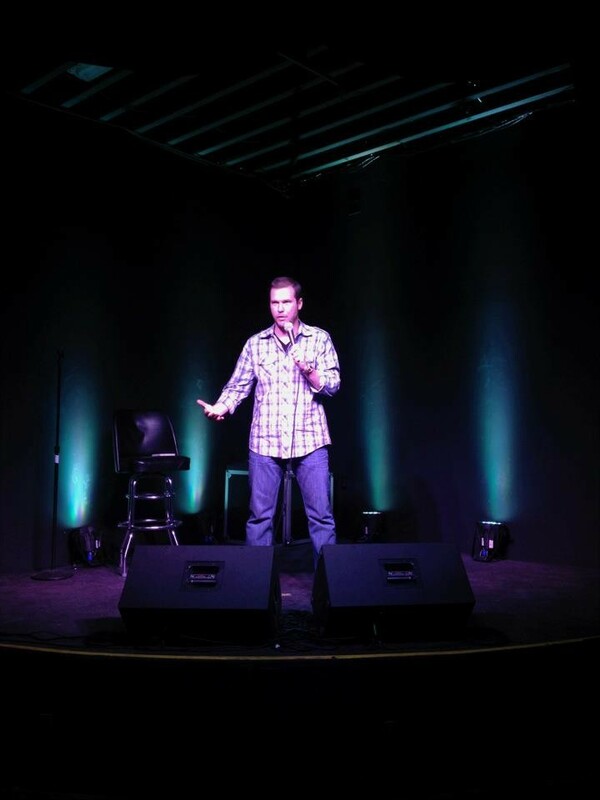 Wiseguys is the club I got my start, but I also would do some of the comic-produced shows. I found out it takes different talents to do club shows and bar shows. Both can be a ton of fun, but you have to approach them differently. Jamie: Slow down. Get your bearings and address the audience. Open with something you know will work, something short and to the point so you can get the people on board with you. It’s sad, but I still open with the same joke every time. I do it not for the audience but for myself. Once I get that first joke out and the audience laughs, even if its just a little laugh, it gives me the confidence to start doing other material. And confidence is everything with comedy. Jamie: What works is easy. It's whatever the audience enjoys without being a fart/poop joke. My problem sometimes is dropping stuff that does not work. Sometimes, you just don’t want to let go of a good Tape Worm joke. Writing is the best part of the process to me. I write a lot. I don’t do a lot of what I write. I think it comes from my own insecurities. Performing in front of people does not come naturally for me, but writing does. Like most comics, I write what I know -- family, being married, observations, Tape Worms; stuff that I know. Jamie: Awesome. The local comics are great; I view them all as friends. I don’t see a need to view each other as competitors. Each comic brings something different to the stage. It would be like saying country music sees rap music as a competitor. Plus, there is lots of room for comics; lots of places to do open mics, headlining shows, and if you can’t get on a show there are lots of places to start your own show. 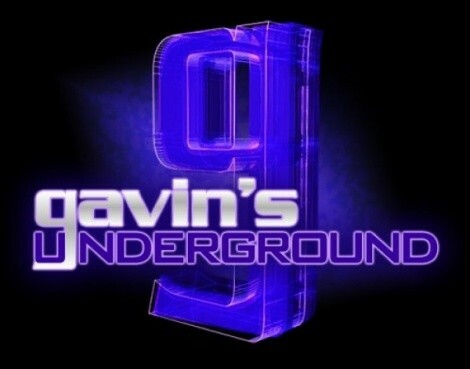 Gavin: You're one of the few local comedians who have branched out and toured a bit. How is it for you hitting the road and taking your set to audiences beyond the hometown crowd? Jamie: This is what matters. You can only do Mormon jokes for so long; you have to be able to relate to people outside your home turf. The world is a big place with a lot of different views and we live in a fishbowl. I really enjoy the road, not only the road trip but also meeting comics from other markets. It is also fun to see what jokes relate in different markets. I can tell you that outside of Utah, people view comedy differently. I remember doing a show at Mandalay Bay in Las Vegas and the booker came up to me and asked me if was a dirty comic. I said, "No, I keep my stuff PG13 for the most part." He gave a sigh of relief and said, “Good, because we have some high rollers here tonight and we don’t want to offend them.” Shortly after that, the comic before me does an R-rated set as dirty as any comic I have seen and it would have been frowned on in Utah. He kills. I look at the booker and say, “Was that dirty?” He say, "No." I then proceed with my PG13 jokes. It just reminds me that people in the rest of the country view dirty a bit differently than we do here in Utah. Gavin: Seeing how you've been a part of the scene for as many years as you've been doing standup, how has it been watching SLC develop and seeing the talent come up today? Jamie: We have a plethora of talent here in Utah, both with new talent and veterans. And by no means am I a veteran. I have been doing this for just over five years, so I am in my sophomore years. I still love going to open mics. It reminds me of how much fun it was when you first start out. You write your first five minutes and you think it’s the greatest thing ever. I see more comics trying and more comics giving up. You have to stick with it in comedy. It’s a process and not an end; you will never be done. But we need more. We need more comics and more venues. 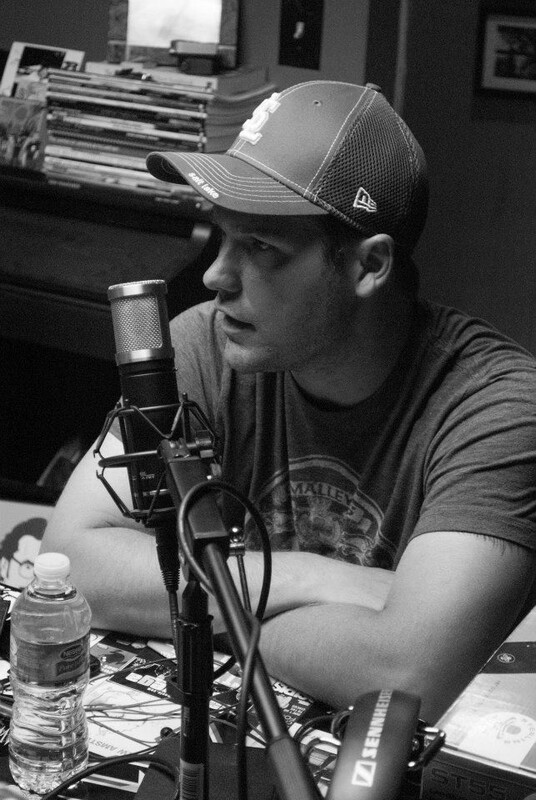 Jamie: The good: We have some great comics and we have a few good venues. Utah has a lot of talent, a lot of strong comedy minds. The bad: SLC is not on the map for comedy. Movoto.com listed the top 50 cities for comedy and SLC did not even make the list. Reno beat us -- Reno! Sacramento made the top ten. I lived in Sacramento for several years, and Sacramento has nothing on SLC. They said that Sacramento made the list for all the different clubs and festivals. We can do better than this. SLC could be, and should be, a bigger market for comedy. Jamie: There is a lot we need to do. First ,we have to get the support from the community. We have to let people know that SLC offers any kind of comedy you want to see. You want clean comedy? We've got it. You want edgy/dirty comedy? We've got it. Improv? We've got it. We really have it all here. We just have to get the message out that if you want to laugh, we have what you need. I think a lot of the community does not know that; they are not sure what they are going to see and I think that scares some people away. But I can assure you we have the comedy you want. We also need more festivals, more clubs and more indie shows. The only way that will happen is if we as a comedy community come together and support each other; promote each other. We need to understand that we all benefit when we all push each other. The rising tide raises all boats. Or it floods all the beach houses; I’m not sure how that saying goes. Jamie: Aside from yourself? That makes it sound like I like to watch myself. I hate watching myself. All I do is criticize my performance; that’s not fun. The list is long, so here we go. In no particular order: Guy Seidel, Spencer King, Levi Rounds, Christopher Stephenson, Arther Carter, Dean Weber, Blake Bard, Spence Roper, Christain Piper, Patrick Ramirez, Key Lewis, Jay Whittaker, Jason Harvey, Steve Soelburg, Keith Stubbs, Cody Eden, Marty Plug King Archibald, Andy Gold, Natashia Mower, Travis Tate, Andy Farnsworth, Brian Pope, Michael Schooley, Mike Grover, Jordon Mazziotti, Josh Gret, Barbara Gray, Melissa Merlot, Seth Tippetts, Paul Sheffield, Toy Soup -- Improv -- and, of course, John Morison. I am sure I am missing a few others; sorry if I missed you. Just know I love each and everyone of you like Miley Cyrus loves attention. My point here is we have a ton of talented comics. SLC, you have no reason not to go see some live comedy. There is nothing like it. 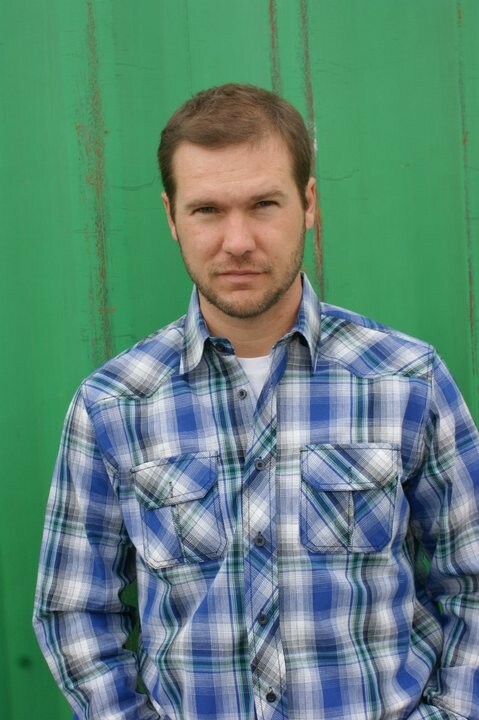 Oh, I do have one local comic who I would like to see come out of retirement: Dustin Brock. Everyone reading this needs to make an effort to get this guy back on stage. Gavin: What are your thoughts on the clubs that provide comedians a forum to perform, and the work they do to help bring in audience? Jamie: They’re all great. Anyone who is willing to give us poor creatures known as comedians a place to perform is okay in my book. I will always have a special place in my heart for Wiseguys and Keith Stubbs. Wiseguys gave me my first opportunities and they continue to support me today. I also enjoy the other venues in SLC, like The Complex, 5 Monkeys and K-Town. It is vital for us as comedians to have a place to work on our craft, a place we can work and perform. And it’s not easy for these places to give us these opportunities. They risk financially, and they put their reputation on the line when they allow us in. That’s why we have to be professional and do our best to support whoever gives us an opportunity. 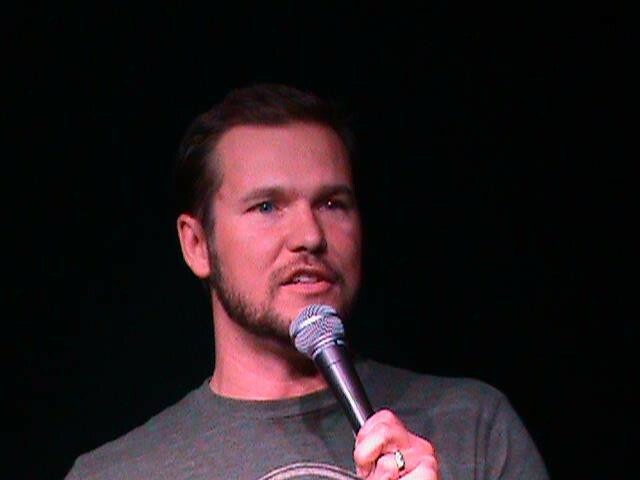 Gavin: What's your opinion of national stand-up comedians coming through town and what that does for the local scene? Jamie: First off, they make me sick. When I see them onstage, I think I should just give up, sometimes. If you want to enjoy some good stand-up comedy, go see these guys. SLC is starting to pull in some seriously good comics. There are so many great comics coming into this town on any given weekend. Not only do we get to see all these very talented folks come through, but they get to see our town and see that we don’t drive carriages or have horns growing out our heads. Most of the national guys I know love this town after they have visited. And I hope they tell others, as well. 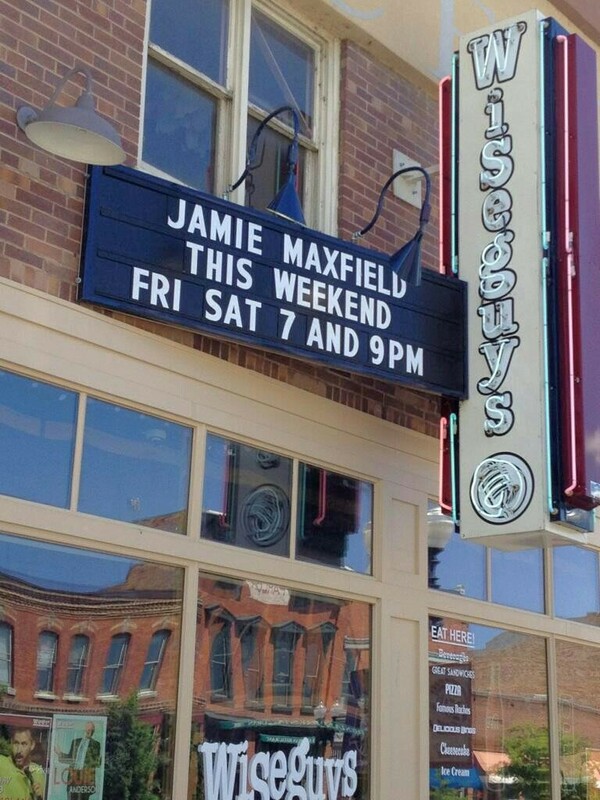 Jamie: More shows. You can catch me four or five times a month in SLC. I continue to work on other projects, like a few comedy short films, more live performances of my Where’s The Punch podcast, and I hope to find a new venue for Channel 801, a short-film showcase Ben Fuller and myself produce. Jamie: My podcast, Where’s The Punch. I'ts on iTunes and Podomatic. We talk about the joke-writing process and comedy in general. It’s a great way to see how comedians come up with jokes. Follow me on Twitter -- I can always use some follows; it’s the only thing that keeps me going. I will be performing at the SLC Comedy Carnival, coming up late September. Check out their Facebook page for details and times. You can also find me on Facebook. Most of my “bits” are on YouTube. You can also see me on any given weekend at Wiseguys.